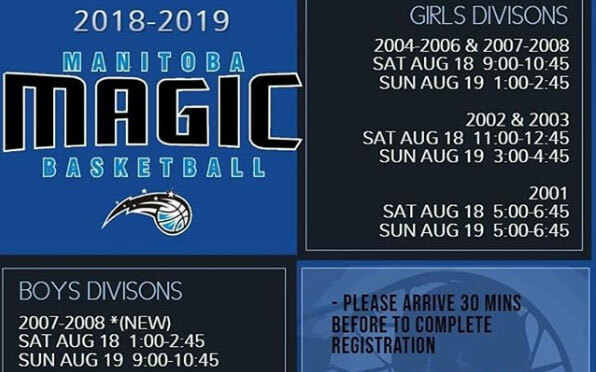 The Manitoba Magic Basketball Club has announced their initial tryout details for the 2018-19 basketball season. The club will offer teams to boys and girls born 2001 to 2008. 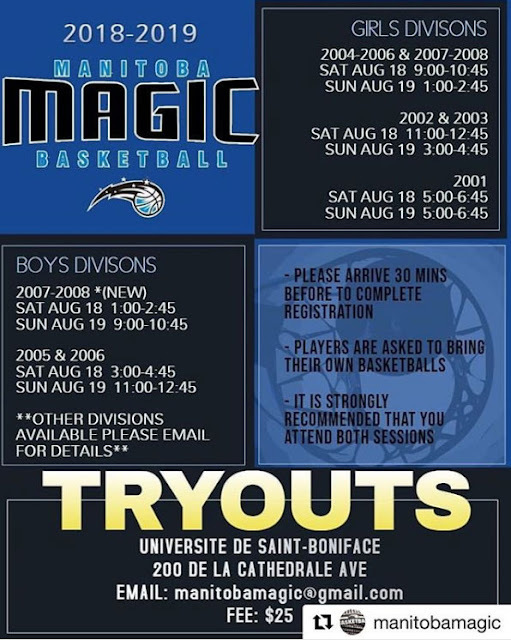 Details can be found in the below poster. For details on our other teams not listed please contact manitobamagic@gmail.com.